The Tony Awards continue to draw nearer. We've already gone over the best musical nominees for this year, but what about revivals of musicals? A revival is a musical that has been performed in the past and has been "revived" to be performed again. This year, there were only three Best Revival of a Musical nominees. Let's take a look. First up is Falsettos. I'm not a fan of this show (I don't know much about it beyond what I've researched for this article), but the 2016 revival had some good talent like Christian Borle, Stephanie J. Block, and Andrew Rannells, all of whom were nominated for Tony Awards for their performances. Falsettos is the story of a man who leaves his wife for another man and attempts to make a family including all of them, a task that is beyond difficult. Hello, Dolly! has actually been revived several times over the years, which is a testament to its enduring nature. Unfortunately, no show clips were to be found so I've included instead a compilation sort of video about the show and its current star, the uber talented theater legend Bette Midler, nominated for Best Actress in this role. Hello, Dolly! follows a widow and self-proclaimed meddler (or matchmaker) who's decided it's time to find a match for herself. Miss Saigon made its Broadway debut in 1991, but I felt it would be prudent to list its earlier London premiere, considering Lea Salonga won awards in both nations for her turn as Kim, a Vietnamese girl who's left with a son when her lover, an American soldier, is evacuated as the US leaves Saigon (now Ho Chi Minh City). 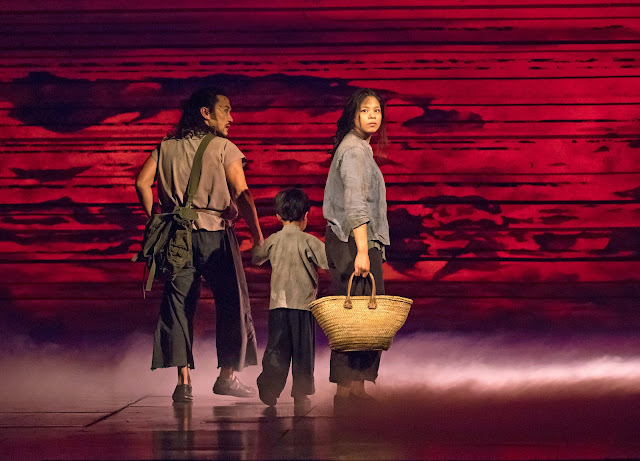 Probably the most tragic musical on this list, Miss Saigon was created by the team who made Les Misérables a reality and still holds its place as the 13th longest running show on Broadway. Eva Noblezada was also nominated for Best Leading Actress for her portrayal of Kim. Which show do you think will win this year's Best Revival of a Musical award?